When you first have a brilliant business idea, your excitement and “go get ’em” mentality can get in the way of doing things that are actually important. Due diligence, when it comes to researching your business idea, is what can make or break your entire business venture. The hard work doesn’t start once you’ve got the business set up and running, and when you have too many customers to serve. No, the work comes even before you do anything. Even before you tell your friends or register a business name. The most important thing you do before you take any setup or operational action for your business is the market research. To put it simply, market research is what you do as part of testing the feasibility of your idea. During this research, you ask yourself some important questions before they come up later on. Will my idea work? Who do I sell to and how? Why would they buy from me? Neglecting the research, if you focus on one idea and drill into it without looking up once, and find that you have no customers and no stand in the industry the moment you open your doors, what will you do? You can always start over and write off the funds that went into setting up your business, but why would you want to do that if you can avoid disasters like that by spending a few hours doing some research? The research component can feel boring and like it’s putting a break on your confident and smooth ride up to the top. But what we’re focused on is getting your business to run like a nice Ferris Wheel, slowly building up and overseeing everything on the way, NOT like the Giant Drop, and a faulty one at that. And once you start getting into your research, finding out more and more about the market and getting a clearer idea of your business idea will become fun! So, what is this market research we speak of, and how do you do it? First things first, get out of your head. Just because what you’re about to do is called “market research” it doesn’t mean you’re studying to get your PhD. And if you already have a PhD, you should know exactly what it’s like! Market research can be easily done with the resources that you already have like people you can talk to and a computer that’s connected to the Internet. You can spend thousands of dollars to do it, but it’s not necessarily required for small businesses. Now, write a list of things you want to find out from your research. How old is the market? This can have a short and quick answer or a very long and detailed one, depending on the age of the market you’re about to enter. For long standing markets, it shouldn’t require much information at all. For young, early-stage markets, however, you’ll need a lot more research to find out how sustainable it is and whether this is the right time to be jumping into the industry. What does the market or industry depend on? Does it depend on people’s emotions, the local economy, the price of oil (what doesn’t? ), the political party in power, natural resources…? While all economies are intertwined and susceptible to each other’s sustainability and commercial success, some can be more vulnerable than others, depending on what you’re after. If your industry is closely linked to another, check that out, too. Also, are there any upcoming changes to the industry like a government policy that can affect it? Follow the links and get acquainted with a bit of everything in the spider web of relevant industries. What are your competitors like? How long have they been around and how much popularity do they have amongst the pool of customers? How much revenue are they turning over, if you can find out? How many employees do they have and how many different revenue streams do they have? What kind of advertising are they doing and what kind of services are they offering that you may or may not offer? Be sure to check out several companies on all local, national and international levels. However, once you’ve gathered some information on the general nature of the competition in the industry, narrow down the competitors by their size and pick those that are similar to yours. Remember, competitors aren’t always your enemy so pay attention to how they can benefit your business. What is the customer like? This is perhaps the most important one. While the market itself and the status of the competition are both essential components of your business survival and growth, the customers are who buy and advertise your products. Find out how your competitors are reaching out to customers. Grab some demographic information like their age, gender, occupation and residence. How much are they spending? Now consider why they would buy from you if there are other companies that offer the same products and services. What makes you special that will entice the customers? And what part of the customer demographic seems untapped that you can target? For example, can you be at the forefront of changing the industry’s female-dominated culture by selling to male customers? Is there room for your products to grow? The world keeps moving forward and advancing, and no industry is at its perfect top level. How can your products and services grow to keep up with the changing industry and its consumers? What kind of foreseeable changes are there, and are you prepared to adapt to those changes quickly? And perhaps more importantly, how can you influence these changes in the social, cultural and organisational behaviour in order to make room for your product development? Next step is identifying your resources. Are there any companies that you can pay to do custom market research for you? If you have a large budget, you can consider hiring an independent company to do this work for you. Market research agencies will identify key insights for your business idea and the opportunities that are available for it. They can evaluate your products and services to gauge its success in the market, and even provide ongoing marketing support by monitoring and improving performance. Do you know anyone with expertise in the industry? This is why networking is important even when you don’t have any particular goals in mind at the time. If you’ve made and maintained good relationships with your employers and colleagues, they can be a resource you can reach out to. Do they have experience in your industry and do they know anyone they can refer you to? From their experience, what worked best? Do you have potential customers you can speak to? Anyone can be a potential customer, but you need to narrow down to people who are already buying the products you want to sell and people who are considering. For example, if you’re about to start a business selling tyres, ask your car enthusiast friend where he gets his tyres from and why. How long has he been buying from the particular brand, and what would it take for him to change his go-to brand? Do you have access to a business directory? Google is your best friend here, to search all businesses in a similar industry in the area that you’re trying to target. However, don’t forget about other methods like Yellow Pages and White Pages. They can also be accessed online, and list businesses that don’t have a website or enough of a digital presence to show up on search results. Also check out your local supermarkets’ noticeboards or any other community platforms like magazines where local businesses are advertised. What are these businesses doing? Do they have a great reputation in your town? Is there a trade/business association for your industry? Check them out and start networking to gain insider information. 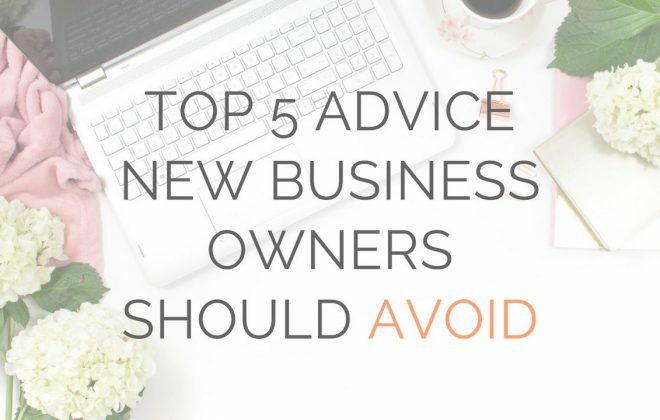 Even though you might think that people are hesitant to share their expertise with a newbie on the block who can potentially take away their customers, people in business are actually quite likely to help others out by giving them some tips and advice. Business people understand that they don’t hold the magic formula to success in the industry, and that even if they don’t help you out, someone else will or you’ll eventually find out the answer by yourself. This is your opportunity to ask about any legal and licensing requirements and other difficulties that follow when running a business in the industry. Tap into each of your resources and gather information for each of the questions you identified earlier. Move onto the next and repeat. Don’t be scared to pick up the phone and call up a business, either. While some might not think this is ethical, try calling a business as a customer. Pay close attention to what kind of services are mentioned, how things are cross or up-sold, and what questions you are left with. The best way to find the missing pieces in the industry’s big picture puzzle that you can fill, is by being the customer and thinking outside the box. For example, say you walked into a bridal dress shop as a man. You might not feel completely welcome and feel quite out of place. If you were opening up a wedding dress shop, is there a market for making it more male-friendly? How would that be relevant or beneficial to your business and the way you’re perceived by your customers? Of course, the most relevant and important information that you need to start your business should be the ones that are kept neatly. You’ll want to use that information to write your business plan and consider further product development ideas. However, don’t miss the quick ideas that fly past so quickly that you don’t quite remember what they were two minutes later. While these ideas may not be completely relevant or useful for your business at this setup stage, they could come in handy somewhere down the road when you’re ready to take on new challenges. Write the ideas down along with the source of your inspiration like an article or some figures, to understand why you had such a crazy idea when you look back later on. Chances are, you’ll have gained more knowledge and experience along the way, and you’ll be able to take and develop the crazy idea, and turn it into something special. Although doing all the above, and doing it right, can be a time-consuming exercise, it is all a very common sense practice that will make more sense the more time you spend doing it. And in the end, it is probably the most worthwhile way to spend your time when preparing for your business. If your market research found that your business idea won’t stand up against the competition, don’t give up. You can adjust your idea according to your research findings to mould it into something there is a market for. Even more importantly, you can adjust your approach and attitude. Just because it’s been done before, it doesn’t mean that you can’t do it, too, and do it better!